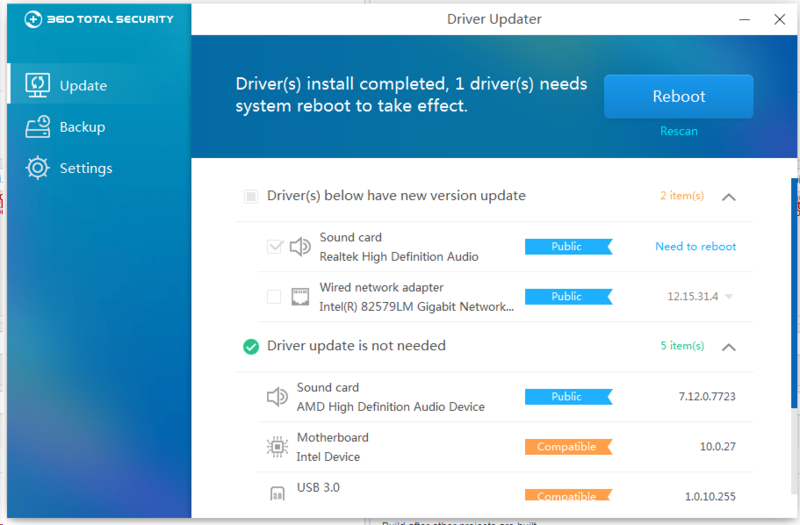 Driver Updater has just been included into 360 Total Security Premium. With this simple all-in-one driver manager, your PC can work stably and smoothly, with less blue screen or hardware malfunction issues. 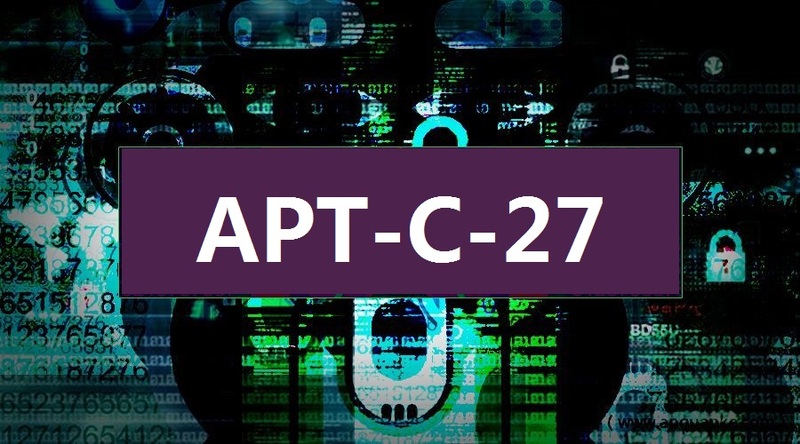 When you are attaching new devices like web camera, printers or, sound cards to your computer, driver programs must be installed to ensure them work properly. 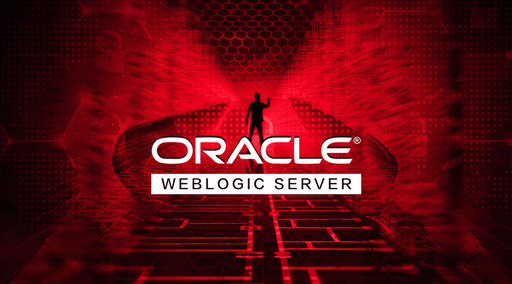 If these programs are outdated or incompatible with your system, common system malfunctioning like screen freezing, system crashing or poor audio quality will appear to ruin your joyful out-of-box experience. 360 Driver Updater makes it easy to keep your drivers updated. Just scan, then update, with no further steps required. 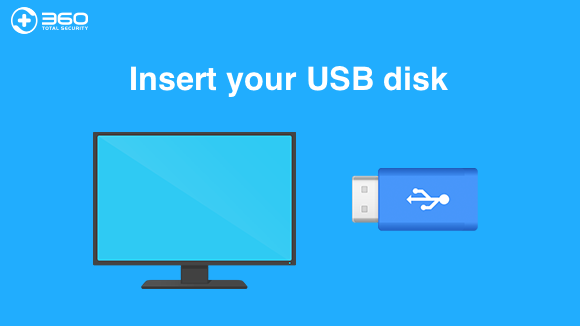 This tool also helps you remove outdated or broken drivers. 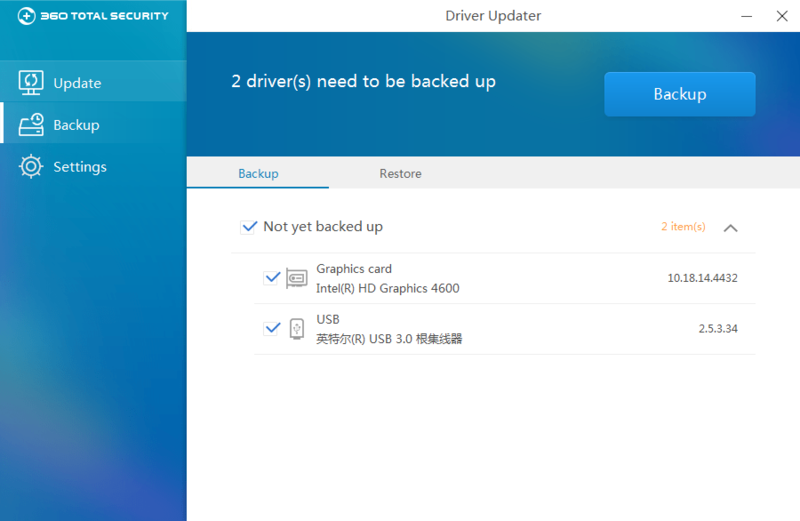 Besides, if the latest driver version is not compatible with your PC, there’s also a backup version for you to easily restore to the previous version. 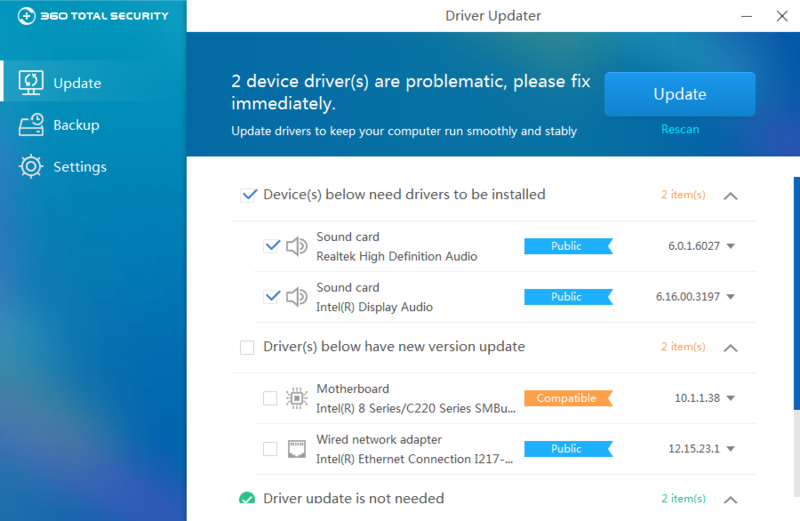 With 360 Driver Updater, you don’t have to deal with Windows Device Manager that frequently, nor do you need to visit your hardware maker’s website to find each driver update. How to use 360 Driver Updater? 1. Open Driver Updater in Tool Box of your 360 Total Security. 2. 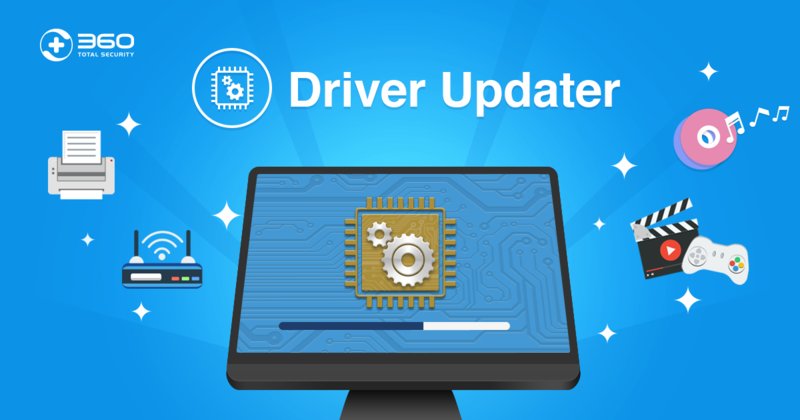 Driver updater will automatically scan if there’s any new update available. After the result comes out, choose “Update”. ￼￼3. If further action needs to be taken, like a reboot, you will see notification like this. 4. When installing the update, Driver Updater also saves the previous version as a backup. If the latest version cannot work properly on your PC, you can always choose “Restore” or “Uninstall” to fix issues. 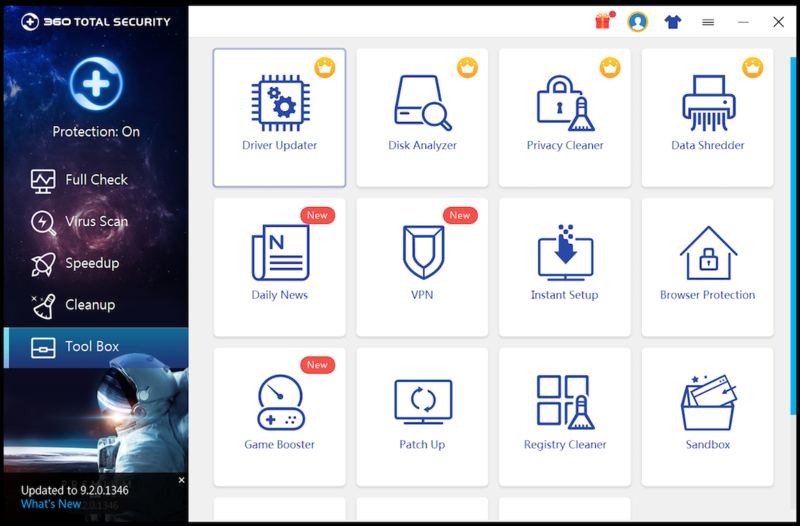 Driver Updater is a simple yet powerful tool to update your drivers to prevent system crash issues, bring sharper graphics, and give you richer sound. Download Driver Updater today, no more driver problems. 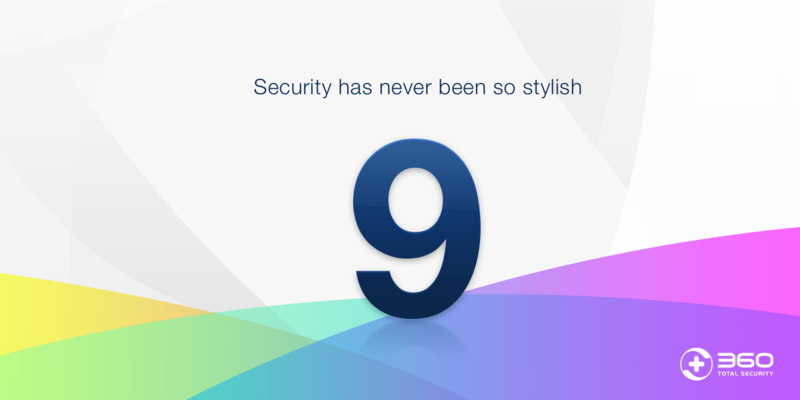 Get 360 Total Security Premium and enjoy Driver Updater.